Here is a segment we did on Q13 last year, with some ideas on how to pack kids Back to School Lunches (and get them involved too)! School has started in other areas of the country, and will be starting here soon for some of us in the NW too. One of the perks of summer break is not having to pack a school lunch each morning, so as we near the back to school start times, I start to think about school lunches and more. I’m always looking for new ideas for school lunches and after-school snacks. Especially when kids are picky, and you want to give them good fuel to learn with. Below we have listed a bunch of different resources for you check out regarding ideas for back to school lunch, breakfast and snack items, that will hopefully inspire you as you get your kids prepared to head back to school this year. 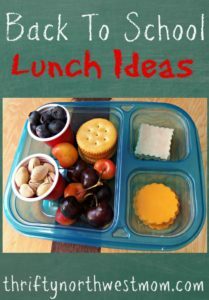 Back to School Lunch Ideas – Check out this list with different ideas to pack kids for lunch at school, to help inspire you! There is something for everyone to enjoy. Like for instance a fruit pizza, make ahead freezer PB&J’s, and more. Yummy! Some of these may make great ideas for us Adults at lunchtime too. 7 Healthy Lunch Ideas for Back to School – Trying to fuel your kiddos with healthy food, but running out of ideas. 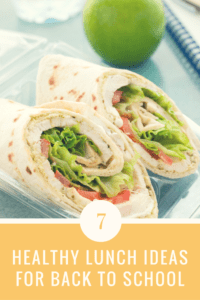 Check out this list with 7 healthy lunch ideas, these would even be a great after-school snack idea, to keep them energized all day. 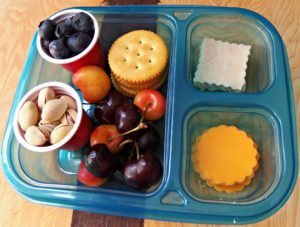 Healthier DIY Lunchables for kids – I love making my own Lunchables for my kids, so I know what is in it. They are easier to make then you might think, and you can create a fun and healthier lunch option the kids will love. 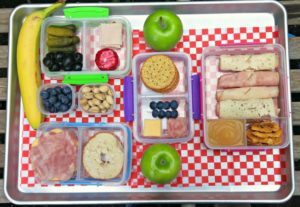 Simple DIY Lunchables for Back to School – Here you’ll find a different array of simple Lunchables made at home! Like a turkey one or ham, plus a few others as well. Really the possibilities are endless. 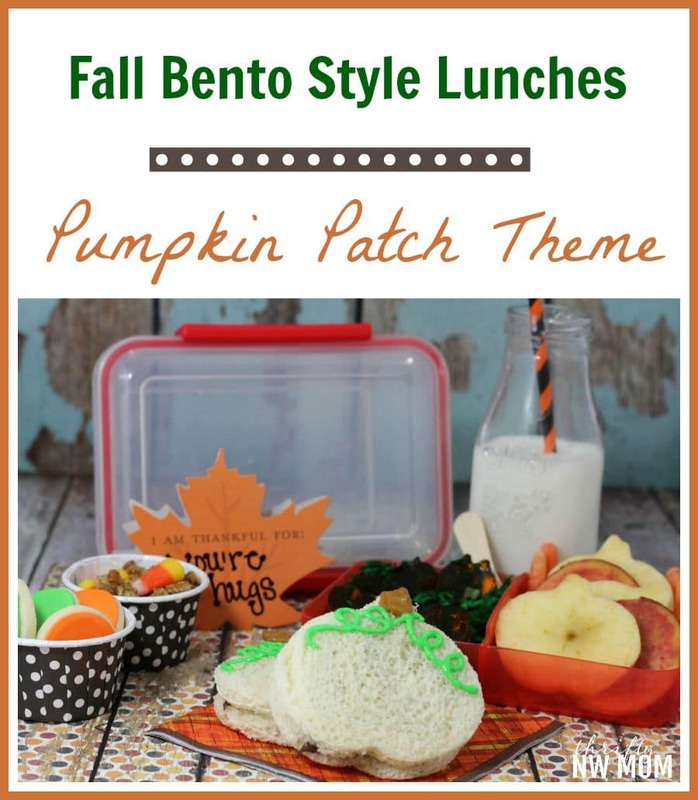 Fall Bento Style Lunch – What a way to kick up your bento lunch game! This would be a fun way to celebrate the beginning of fall. I know I would love to open my lunch and see a pumpkin shaped sandwiched and just fall themed items throughout. 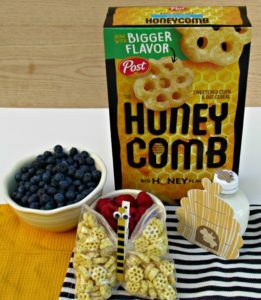 Back to School Lunch Idea: Honeycombs for the “Bee”st Lunch! – This is a great and creative way to incorporate fun into your child’s lunch! This butterfly-shaped Honeycomb cereal, milk in a thermos (or bought at school) and fruit is a simple lunch. Lunch Box Cubes – Easy To Pack School Lunches + Fun Lunch Box Ideas! – Here is a bunch of different supplies you can use to pack your kids fun and creative lunches! From different shapes of cookie cutters to use, containers, how you pack it and more. Be sure to checkout our round up of lunch box deals here too, if your looking for something to pack the lunches in . 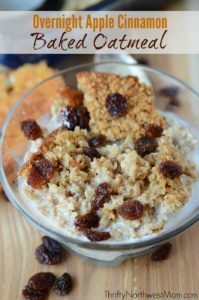 Overnight Apple Cinnamon Baked Oatmeal – Perfect for Busy Back to School Mornings! 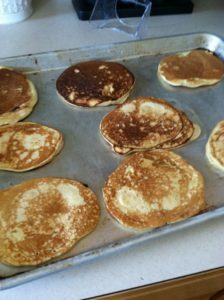 – This a great idea to add to your list of go-to breakfast ideas. You can make it the night before and eat it the next day. Apple and cinnamon are always a great way to start the morning off right! Back to School Breakfast Ideas – I know when the kids go back to school, breakfasts in the mornings can be kind of rushed. So we’re grabbing for that cereal because it’s cereal, bowl, milk and done. This shows you some ideas on how to make breakfast easier with ideas of making pancakes and freezing them, or smoothies as an example. 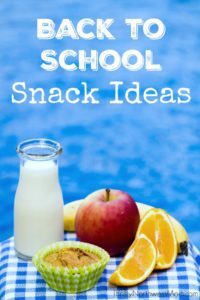 15 Back to School Snack Ideas – This is a great resource to check out when you’re looking for ideas of what to stock up on for lunches. 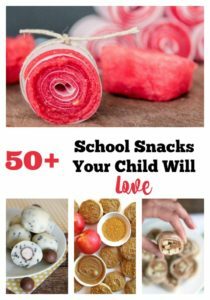 Back to School Snack Ideas – 50+ Ideas Your Child Will Love! 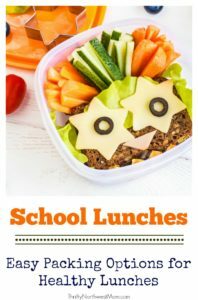 – Here’s your go-to list of ideas for back to school lunch ideas AS well as awesome ideas for those days after your child gets home and is complaining of being hungry. We have no bake chocolate oatmeal cookies, peanut butter granola bars, apple monsters and more! Do you have any great go to ideas you use to feed your kids during the busy back to school times? We would love to hear your best tips! KidPik – affordable subscription boxes for kids you can use for Back to School Shopping. Back to School Backpacks – Under $30 (Some Under $15)!